People with high interest rate, non-tax deductible debt such as credit cards, personal loans and/or installment furniture loans, often choose to consolidate these debts using a “cash out” refinance of their home mortgage. There must be enough equity in the home, as determined by a new appraisal, to make this possible. For many reasons, some families are finding it very difficult to meet their monthly debt payments even when tightening their belt. A dollar can only be stretched so far and when a family is in financial stress, it can be torn apart. If payments are made late, there will be late fees added to their debt and often the interest rate on their outstanding balance rises to an exorbitant amount, further compounding the problem by doubling their required payment. This can lead to their debt payments spiraling out of control. 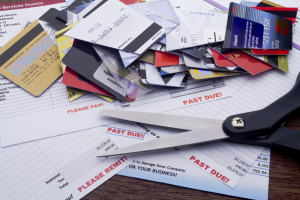 When payments are reported as late to the credit reporting agencies, damage is done to the credit scores and a debt consolidation loan may become impossible to obtain. Acting early to consolidating these debts using a “cash-out” refinance into a lower single monthly payment can offer a “fresh start”, protect you credit, and make life more enjoyable. The total amount of interest on your new mortgage will often be much lower than the total amount you are paying now. Converting non-tax deductible interest payments into tax deductible interest can reduce your tax bill. In most cases, when a cash out refinance raises your existing loan balance by less than $100,000, your new total interest payment is now tax deductible. Please consult with your tax advisor to determine if this will apply to your circumstances. In certain situations, you can legally claim more dependents based on your new increase in tax deductible interest and thereby increase the amount of your take-home pay. Again, please consult with your tax advisor to determine if this will apply to your circumstances. A debt consolidation loan may be a wise financial tool for families who have a lot of consumer debt but are not currently in financial stress. For some credit cards it can take over 30 years to pay off the balance by paying only the minimum payment. You must be disciplined enough to take the money you save each month by no longer having the other debts and apply those funds as additional payments against the principle balance of the new loan each month. By doing this, you will “back out” these debts from your new loan balance and actually “pay off” the debts faster. This can be done without increasing the total amount you are paying now. While it is true that you would be turning your shorter term debt into a longer term debt obligation, this often makes financial sense if you are disciplined to follow the plan. At First Nations Home Mortgage, we work with clients each day to determine if a refinance makes sense for them. 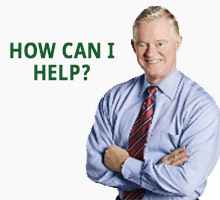 Let us “crunch the numbers” for you to see if a refinance is right for you. We never charge for this consultation! Call Today!